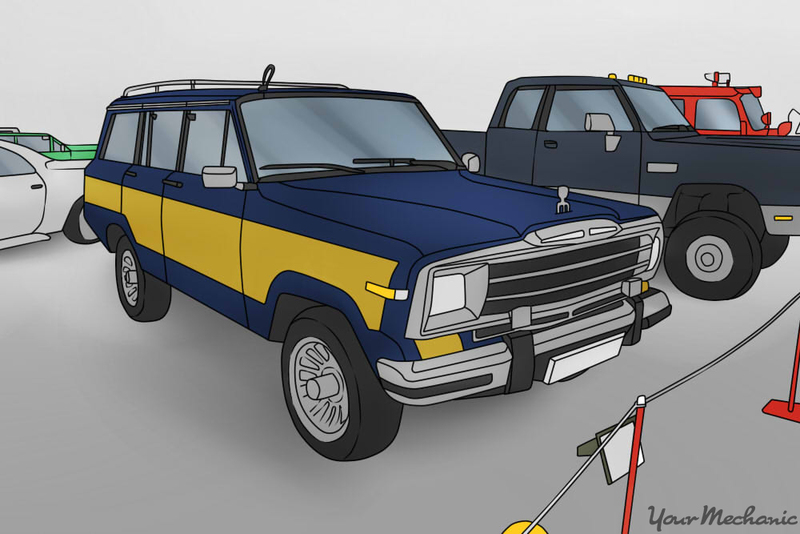 Due to a recent surge in popularity, the Jeep Grand Wagoneer is making a comeback. Since the vehicle was manufactured only throughout the sixties, seventies, eighties, and the early nineties, most Jeep Grand Wagoneers are no longer on the road. If they are, they have been restored or repaired to some degree. A restored vehicle seldom sees an increase in value when compared to the cost of repairs. For that reason, it’s important to make sure that the restoration or repairs were completed properly. Look for the following points while purchasing a restored Jeep Grand Wagoneer. Step 1: Check for rust on the Jeep’s frame. 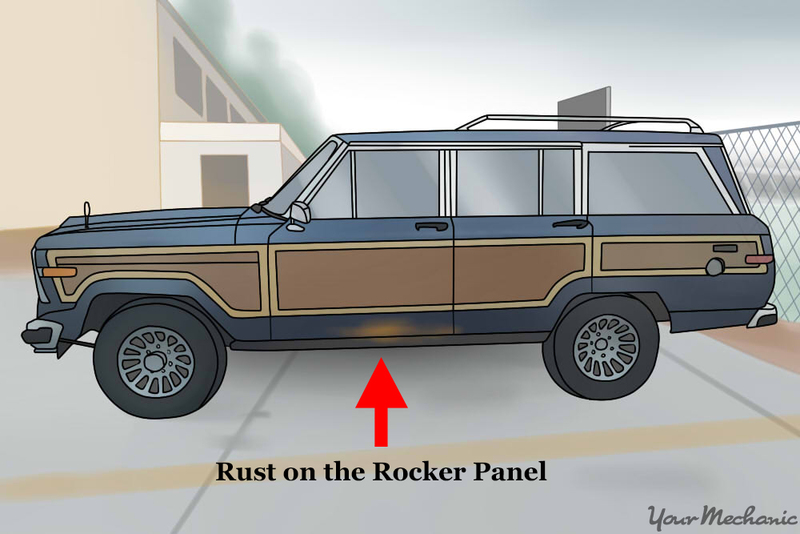 Jeep Grand Wagoneers are susceptible to rust, especially if they were kept in close proximity to salt water or places with high amounts of precipitation. It is essential to check the rust-prone areas on a restored Grand Wagoneer and determine whether it was repaired properly and whether the repair is of high quality. A frame is integral to the safe operation of any vehicle and the Jeep Grand Wagoneer is no exception. Its frame is usually susceptible to rust formation, particularly at the skid plate by the fuel tank. Tip: Check for bubbling or flaking rust, or for repairs that cover the area such as undercoating. Step 2: Check for rust on the rocker panels. This is another common area that develops rust on the Jeep Grand Wagoneer. Rusting panels on the body allow fumes from your car and other vehicles into the cabin, which can be harmful to you in the long run. Rust also indicates that the vehicle is in a state of disrepair and isn’t reliable, especially for a length of time. 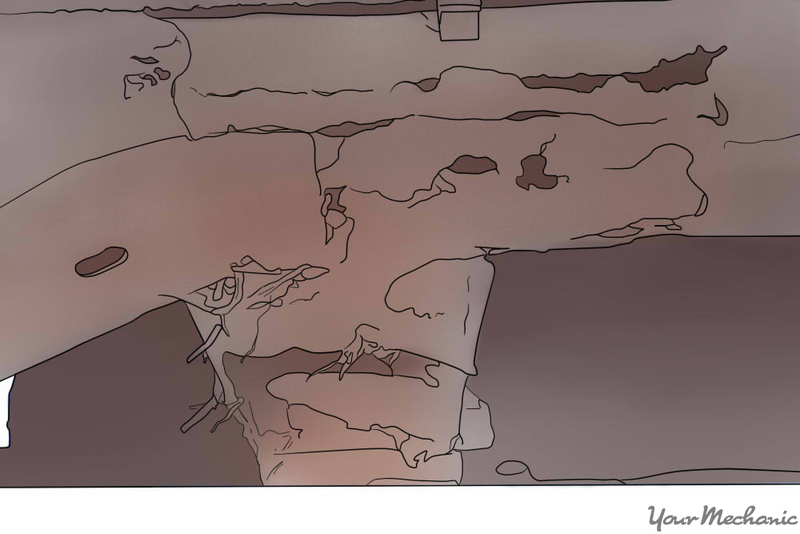 Step 3: Check the floorboards for rust. 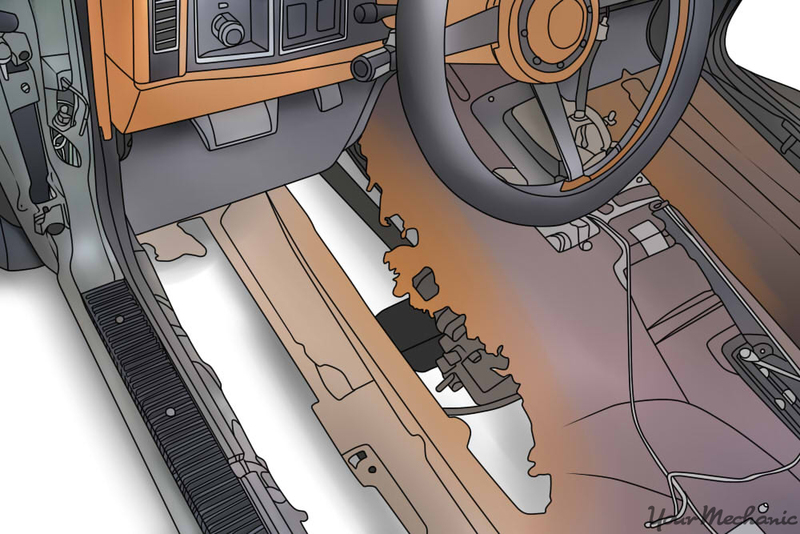 Carefully lift the carpet away from the door sill and look for bubbling rust or holes through the sheet metal. Rust through the floor of the Grand Wagoneer indicates that the rest of the vehicle will probably develop rust quickly and that extensive repairs must be performed immediately. Tip: The floor under the driver’s side carpet is the most common area that develops rust. Step 4: Look for bubbling under the woodgrain decals. 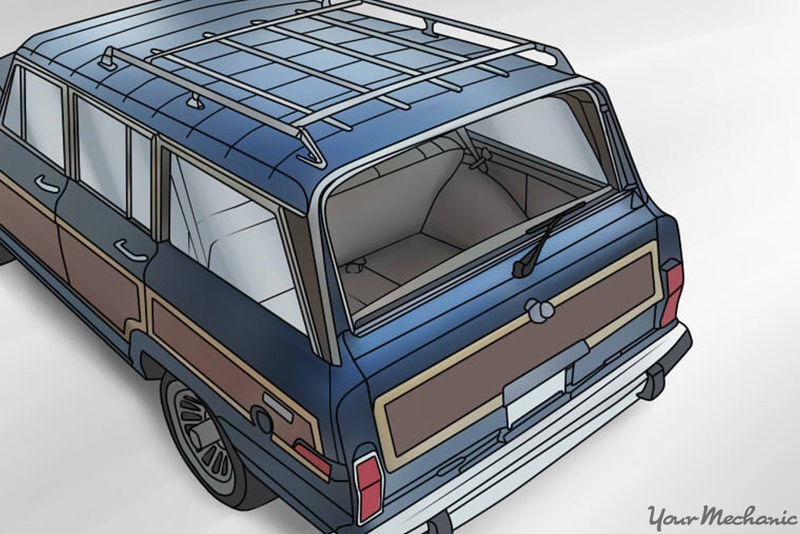 If there is bubbling under the wood grain on the sides of the vehicle, it indicates that there is rust forming from the inside, and that the rust is not limited to that one location. If you buy a Jeep Grand Wagoneer, you’re looking at a vehicle that is at least 25 years old. Mechanical problems may be minor, but spare parts will probably be difficult to find or not available at all to repair the problem. Step 1: Test drive the Grand Wagoneer. Make sure that the vehicle doesn’t have any unusual knocks or rattles and feels smooth to drive. Step 2: Check the safety functions. Check that the brakes work when they are pressed, the parking brake operates, and the steering moves smoothly and is responsive without excessive play. Get a professional mechanic to perform a safety inspection of the Jeep Grand Wagoneer. Step 3: Check the four-wheel drive. Check that the four-wheel drive engages and disengages as it should. Shift the transfer case through each gear to make sure it works properly. Step 4: Test drive at highway speed. Drive the Jeep up to highway speed, to make sure that the transmission shifts properly. Step 5: Test the engine performance. Run the engine from cold to operating temperature, to make sure it runs smoothly in all conditions. Tip: If the engine stumbles or stalls when the engine is either cold or hot, it can indicate a engine problem that may render the Grand Wagoneer undrivable and could leave you stranded in the middle of a road. If you feel the engine stalling while driving, try to pull over to the side and call a professional mechanic to perform a thorough inspection of the vehicle. 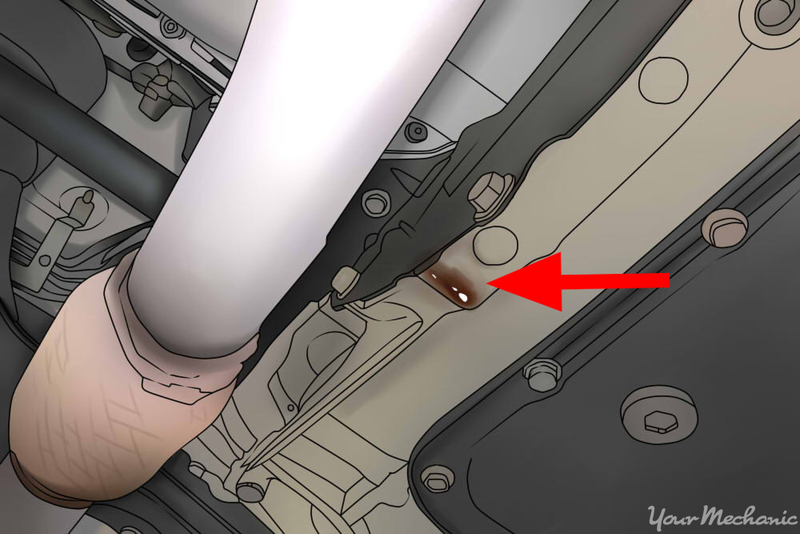 Step 6: Check for oil leaks. The engine, transmission, differentials, and transfer case on the Jeep Grand Wagoneer have oil seals that are prone to leaking, especially when they age and the seals dry out. It’s expected to see minor wetness around the seals but oil washing over an area can indicate a serious oil leak that can be expensive to repair. Part 3 of 3: Check for non-mechanical operating issues. As one of the first luxury SUVs, the Jeep Grand Wagoneer was packed full of technology and electronics that were at the forefront of its time. That technology, however, can be prone to failure. Look for operating problems that may not be evident with a visual inspection. Step 1: Check the power windows. Each power window should roll up and down smoothly, from top to bottom, with both the driver’s master control and the switch on each door. 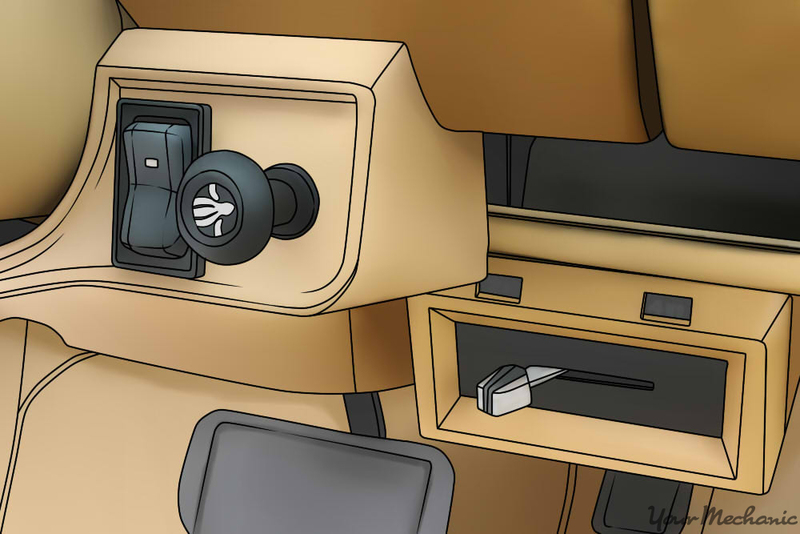 If the power windows roll up slowly or stop halfway, or if the power window operation doesn’t work, you may need a window motor or regulator replacement, for which some spare parts may be difficult to find. Note: The tailgate has a power window that rolls up and down with a switch located on the driver’s controls. It is notorious for failing, so make sure it operates properly. Step 2: Check the power door locks. The power door lock button should lock and unlock all the doors with one press. If the power lock operates weakly on one door, you may need a new door latch on that door, which can be hard to find. Step 3: Check the rear wiper operation. The Jeep Grand Wagoneer has a rear wiper motor that can seize up over time, which is a common issue. Make sure the rear wiper operates smoothly, or it may need to be replaced. Step 4: Make sure the air conditioning blows cold. If the air conditioning isn’t cold, it indicates a leak in the system that can require expensive repairs or even a retrofit before the system can be diagnosed and repaired. Finding a Jeep Grand Wagoneer in mint condition, even if it has been restored, is unlikely. If you find a Grand Wagoneer that you decide to purchase, you can expect to perform repairs of some sort, whether minor or major. Have a certified mechanic perform a pre-purchase inspection of the Grand Wagoneer to determine any areas of concern and to suggest necessary repairs. If you need an pinion shaft oil leak repaired, a power window switch replaced, or the air conditioning inspected, use the services of one of the knowledgeable mechanics at YourMechanic. Q: 2006 Commander keeps running hot. The radiator has been replaced, what could be the problem?